I had the best experience with my first facial! The salon technician was so nice and made me feel very comfortable. The facial felt great! Aesthetician was friendly, listened to my concerns, and gave a great facial! Terrific! Hairdresser did a phenomenal job! Lots of compliments at work next day. Loved the salon and the service. Great experience! I’ll be back! Tina was my stylist, she was so kind and did a wonderful job! I had a great experience at Oro salon. I had a facial and my skin looks wonderful! The staff was friendly and the environment was relaxing. The esthetician customized my facial to fit my skin needs. She was very knowledgeable and explained each step in the process. I can't wait to go back! Loved the facial! Finally feel like my skin is clean. 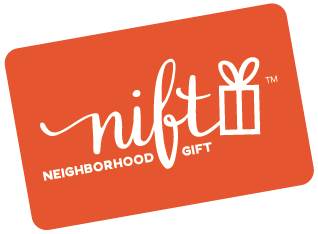 Very nice salon, and graciously accepted my nift gift certificate. I love my cut too and am likely to return. I saw Amanda at Oro. She was very friendly and professional. The waxing system they use was wonderful, it had to be one of the least painful waxing I've add. Salon was easy to find with plenty of parking. Staff was welcoming and professional. Clean, cute salon! Loved it and great to know of a new spot close to my home. Yay! Great cut and blow dry, friendly staff, nice salon. Great little salon - friendly service! I will be back. Very nice people and place, great job!